Currently, liver transplantation stands as the best treatment modality for early-stage hepatocellular carcinoma in patients with decompensated cirrhosis, giving patients the opportunity to be free from the potentially lethal complications from both cancer and their advanced underlying liver disease. 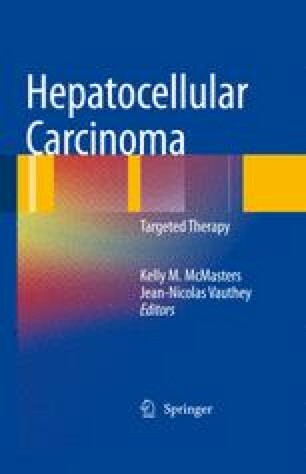 Following a historical period characterized by high hepatocellular carcinoma recurrence rates following transplantation of patients with advanced stage disease, introduction of the “Milan criteria” encouraged a focus on early stage hepatocellular carcinoma and improved patient and oncologic outcomes were achieved. Data are emerging that patients with tumor size and tumor number slightly in excess of those proposed in the Conventional Milan Criteria share equivalent survivals with traditional early stage patients and should also be considered for liver transplantation. In settings where the number of patients with hepatocellular carcinoma and indications for transplant exceed the number of cadaveric liver allografts, alternative strategies are requisite. These include more liberal use of liver resection, interventional and systemic treatments, and living-related liver transplantation. The field has seen tremendous development and is now under considerable pressure due to epidemic rates of hepatocellular carcinoma in both hepatitis and fatty liver disease-induced cirrhotics. In this setting, multiple controversies in the field require resolution by clinical trial and/or consensus.